I bought three (3) new VFD displays from China. They work, but the brightness is low and I don't like them. But on the other hand, they are too good for the trashcan. So, if anyone in Germany wants them, you can have all three for free, including free shipping. Outside of Germany, please pay shipping cost. Don't expect too much from this China product. The products from China are getting better and better in general. Always makes me laugh, Japan used to have the reputation China has now, give it another 15-20 years and it'll be Vietnesium or some other developing country with China being the mark of quality. Chinese products while falsifying, stealing and cheating buyers as they are currently doing will never reach the scrap rating, they will remain garbage. Thing is, they don't have that reputation now, chances are you're using a Chinese made device to read this message on. I only buy from china if a friend tell me to buy it, or I read a good review from someone I trust. For example, since the T12 iron crap clones OLED did not had nice reviews, I just went ahead and got a nice used PS-800 Metcal. Between new fantastic on paper device made in chinesium and a good old used one, I chose the second even if it is more expensive. OK, sold and shipped to a nice forum member. and one day in the not so far distance, they will be like western countries. Customers get what they want to pay for, no matter the country of the manufacture. . They make replacement displays for the 34401A? Is there a market big enough for this. wow. So how do you know they are (still) crap? Yes, I was surprised too and that is why I did not hesitate to order 3 pieces. But they also copied the Agilent GPIB to USB adapter and flooded the market. I would think that there is a little bit more involved, making a working VFD. May be development cost is low in China. Custom VFDs aren't too big a deal if you need a few of them but wasn't there a Chinese lookalike of the 34401, a Victor or something, possibly that's where they're from? PS: I buy lot of products from china, and i found some are really good, others are crap, still my experience is much more positive than otherwise. These VFDs are just fine, I have one in my meter for over a year now and no complaints (at least I assume that there aren't multiple versions of it). I do love the clowns that jump into every thread mentioning China with "insightful" comments about counterfeiting, crap quality, IP theft and what not, even though they have obviously never seen or used the product in question. Especially when there is no other source for these displays apart from eBay or cannibalizing other meters because Keysight has stopped supporting these. They may still have a few of the complete display modules available but those are much more expensive - and the question is how much longer will they last, I don't think Keysight is making any more of those. Guys, can you cut the BS out, please? 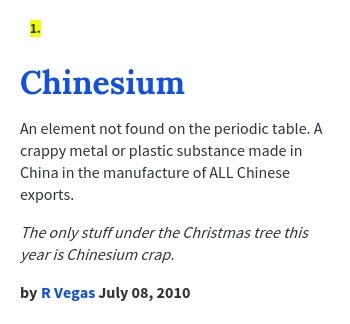 It really pisses me off, there's always someone who pops up with the 'Chinesium' thing. Get what you pay for, if you want quality, China will sell it to you, if you want crap, they'll sell you that too. Highvoltage, how did you test the brightness? Did you do this in the device or in a test setup? I installed 2 of the three VFDs in one 34401A that I had laying around. This particular China version had the brightness very unevenly distributed. I bought other VFDs from China before and they were very good. On ebay, I found another vendor in China and ordered a few more VFDs. That's sounds like you got unlucky and got a bad/poor specimen. Mine is fairly even. Just make sure to tape over the exposed electrodes on the sides. The original Keysight VFD has them covered, these Chinese ones don't and it could cause shorts against the metal frame holding the VFD in place. That could theoretically cause the uneven brightness as well. Sorry for asking, but did you clear the flux? Oh, yes, I did clear the flux. This is not the first Agilent VFD I have installed. Over the years I replaced a lot of VFD's on the 34401A and other Agilent instruments. This was the first bad experience. Was the VFD new? No traces of previous soldering? Is it possible the driver is bad? (I had a bad driver on my K2000, one segment was dead, but with uncleaned flux and wrong wiring I could get similar problems with uneven brightness). Yes, the VFD'S were brand new with no previous soldering on the pins. This was just a cheaply made copy. I ordered a new VFD from China and when it is installed, I will post some pictures. I am sure it will work perfectly. The dim display and especially the uneven brightness looks very much like the symptoms of an under-driven cathode filament. Perhaps the replacement display's filament wires have a higher resistance and therefore are not getting enough current to emit sufficient electrons. You could try measuring the current, and if it is lower than the original, boost it up (usually there are some resistors in series with the filament, making this easy to do). You'll be surprised what a difference that can make. Which vendor did you get the duds from? I'd contacted Noritake iTron about the VFD and they had concerns because the VFD design is owned by HP/Agilent/Keysight. The MOQ... and that idea stalled getting Keysight to release the datasheets or drawings.